This is quite a classy package. 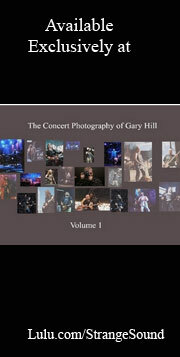 Not only do you get a double CD set of the concert, but the DVD is included, as well. 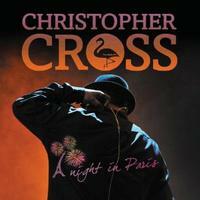 Christopher Cross’ brand of smooth jazz infused music is always great. I can’t imagine too many people out there who wouldn’t like it at least a little bit. This live performance does a great job of capturing the magic. I’d highly recommend this one. I can’t say I’ve ever been to a concert where the band was introduced at the start of the show. That’s what happens here, though. The thing is, it kind of makes sense. After these introductions we’re taken out into the opening tune. This is an energetic and rather jazzy little number that’s quite tasty. This is smooth stuff. A little mellower, this has a great groove to it. I love the bass line. There is also a particularly noteworthy guitar solo on this. I also like the keyboard solo on this tune quite a bit. While this rocks out a bit more, it’s no less smooth. The vocal hooks are great and the horns add a lot. This is one of the best tunes of the whole set. It’s dynamic and diverse and really grows out into a killer jam later in the number. This is just so cool. Energetic and dramatic, this is another great tune. It’s got a lot of jazz in the mix and some killer melodies and grooves. There is a short drum solo mid-track, too. There is definitely a jazz groove to this number. It’s got a killer vocal line and the whole song is just very classy. This cut is more acoustic guitar based. It’s another smooth pop rock piece that works really well. Energetic jazzy sounds are on display here. It’s another strong cut on a set that’s full of them. Still, it might not stand up quite as tall as some of the rest here. Here’s a classic Christopher Cross song and this performance is great. Energetic and quite jazzy, this is another smooth and entertaining song. It includes a nice melodic guitar solo. 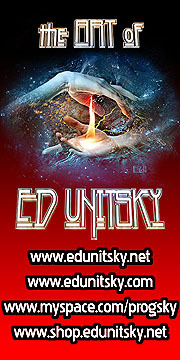 Many layers of sound are used here to create a musical tapestry that’s quite progressive rock in nature. It’s also very pretty. The percussion is quite prominent on this piece and it’s one of the best here. There is definitely a mellower, jazzy vibe here. There are some prominent female vocals, too. It’s a good cut. There are some great vocal harmonies on this tune. There is also a cool jam mid track that features both some killer bass work and a great retro sounding keyboard solo. It also has a tasteful saxophone solo section. Then we get a guitar solo that’s amongst the hardest rocking thing here. It’s very much a fusion styled thing. There is also an extended percussion solo later in the piece. Piano starts thing off here. The vocals come in over that backdrop. This is a pretty balladic tune. Here’s another classic Christopher Cross tune. I like this one a lot, both in terms of the original studio version and this live performance. I remember owning the single of this song and playing it over and over again. I love the high energy and melodic element to the piece. Well, I still love it in this killer live rendition. The set’s other hard rocking guitar solo is included here. There’s a pretty extensive drum solo at the start of this. Then it works out to a catchy, playful little number with a lot of folk rock built into it. Of course, the usual jazz culprit is here, too. The percussion element is prominent here and there are some great retro keyboard textures, too.